JDM Warning: device does not have a Base map? For al kind of questions about JaVaWa GMTK, JaVaWa Device Manager (JDM), RTWtool and other programs of him to ask questions. The basemap is for most devices important, especially when zooming out far (large map scale), the basemap takes over and the map on the screen will draw much faster. And leave the map always on in your device! In some models a missing basemap can also cause strange behavior with routes. 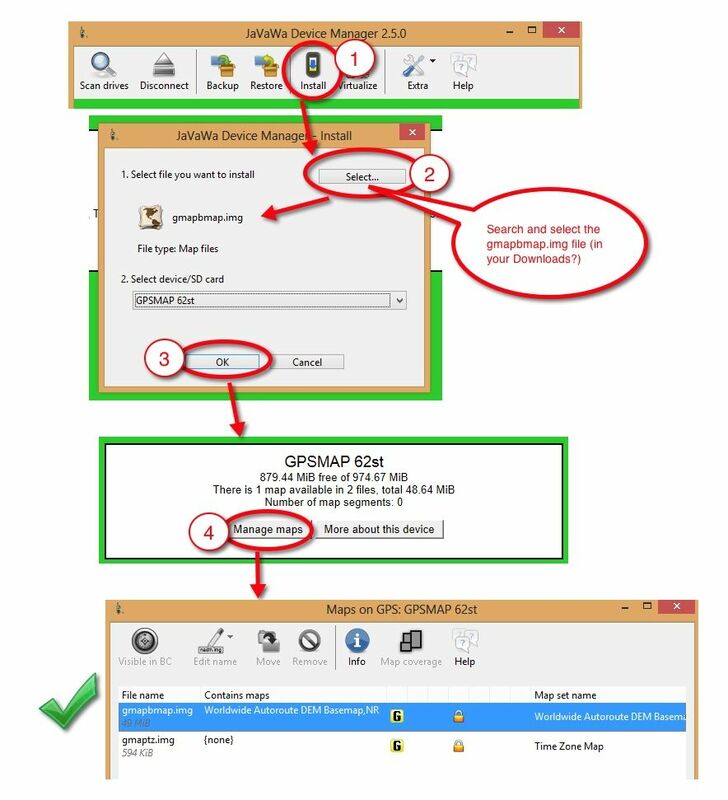 If you don't have this file anymore in a backup, you have to call Garmin for a link to the basemap, or download it from our forum, we have a selection of basemaps available (you have to login! ).